this will be my very first thanksgiving that Nick and I will be hosting! I wanted to make it extra special but also not get stressed out and overwhelmed, so I started the process early and made it fun by doing taste testings all of October and November. so Nick and I could pick our favorite recipes for our vegan thanksgiving. 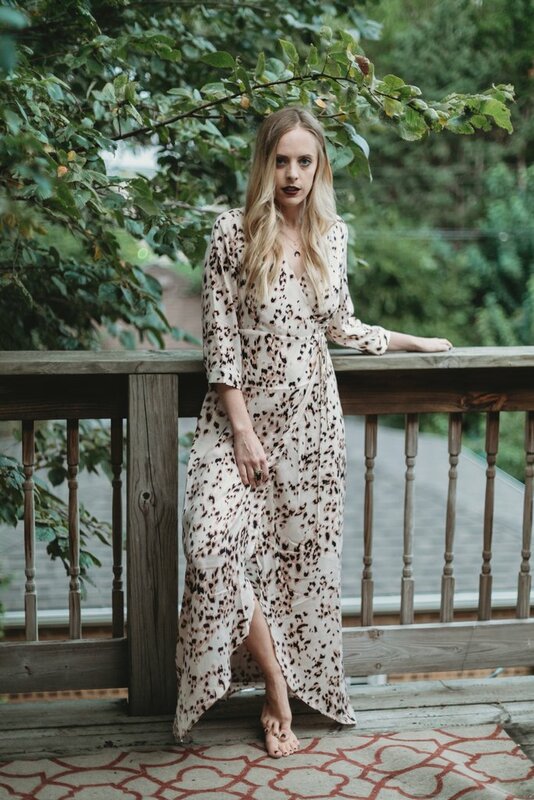 I also wanted to keep my outfit as a host super simple so I am sticking to an easy wrap maxi that will not inhibit any comfort or movement as I am caring for my guests. I tested 10 of these recipes to create a vegan thanksgiving that went beyond the traditional menu. I would love to hear from you and hear what your favorites are for a vegan thanksgiving! let me know.